Trump Administration Admits In Court Filing That US Census Citizenship Question Came From Steve Bannon - Joe.My.God. The Department of Justice acknowledged in a court filing Thursday that the idea of including a citizenship question on the 2020 census came from top Trump advisers rather than the Justice Department. 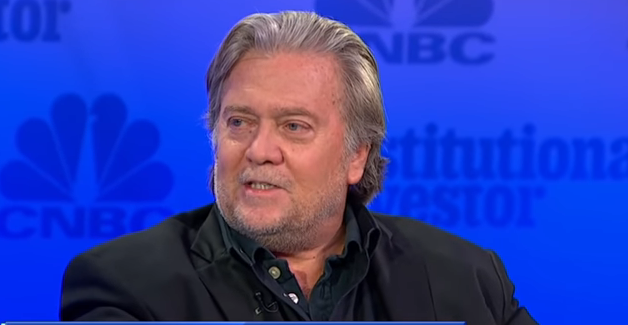 Steve Bannon, a former top adviser to President Donald Trump, contacted Commerce Secretary Wilbur Ross in the spring of 2017 and asked him to talk with Kansas Secretary of State Kris Kobach about including a citizenship question on the census, according to the filing. “Secretary Ross recalls that Steven Bannon called Secretary Ross in the Spring of 2017 to ask Secretary Ross if he would be willing to speak to then-Kansas Secretary of State Kris Kobach about Secretary Kobach’s idea about a possible citizenship question on the decennial census,” the filing says. Ross now recalls that in the Spring of 2017, Steve Bannon asked him to speak to Kris Kobach about his idea of adding a citizenship question to the census. Ross previously told Congress he was unaware of ANY White House conversations about the question. Another lie.